The Biosphere Soundscapes project will engage a series of artists annually to lead various residencies, labs and creative projects in global Biosphere Reserves. The project is directed by Australian composer Leah Barclay who works with a dynamic creative team to develop and deliver the projects internationally. The current artists are involved in the research and development phase in Australian Biosphere Reserves. Barclay’s adventurous nature has led her to complete projects on the floor of the Australian ocean, desolate lava caves in New Zealand, the Amazon Jungle and the evocative backwaters of South India. Despite working predominately in an electroacoustic domain, her work spans chamber and symphonic compositions, scoring for film, theatre and dance to interactive media, data sonification and site-specific installations. She has been invited to participate in a diversity of international residencies including Centre d’arts Orford, Académie de Musique (Canada, 2007), IRCAM Academy (2008), Art Center Nabi (Korea, 2009), Vijnana Kala Vedi (India, 2009-2010), Sound+Pansori (GyeongGi Art Center, Korea, 2010), SCANZ: Eco Sapiens (New Zealand, 2011) and Mamori Sound Project (Brazil, 2011). Barclay’s dynamic work has resulted in numerous awards, including the Premier of Queensland’s inaugural National New Media Scholarship (2009), the Asialink Performing Artist Residency for South Korea (2009) and the HELM Award for Environmental Art (2010). She has received major grants from state and federal funding bodies to produce ambitious community projects and has directed and curated intercultural projects across Australia, India and Korea. In addition to her creative practice, she serves in an advisory capacity for a range of arts and environmental organisations, including Ear to the Earth (New York) and Noosa Biosphere (UNESCO). Barclay holds a First Class Honours degree in Composition from the Queensland Conservatorium and has studied with Stephen Leek, John Coulter, Gerardo Dirié, Kim Cunio and Alcides Lanza. Her practice based PhD has involved site-specific projects across the globe exploring the value of creative methodologies in ecological crisis and the agency of environmental electroacoustic music. From a broader perspective, Daniel Blinkhorn's music investigates the cross-pollination of sound, performance space, image and the natural environment, where he is increasingly interested in employing tenets generally (if not somewhat antithetically) found within acousmatic musical environments as structural devices within works for video, instruments and live performance. Although often working in the electroacoustic, videophonic and digital media domains, Blinkhorn's output includes chamber, symphonic and wind orchestra works, sound installations, music for film, radiophonic pieces and various hybrid/ intermedia environments. His works are increasingly performed, exhibited, broadcast and presented internationally and he has received over 20 international and national citations, with recent achievements including winner of the 12th and 9th (2011 - 2009) International Electroacoustic Composition Competitions, 'Música Viva', Portugal, laureate of the Luc Ferrari - 8th International Competition d'art Radiophonique Pour Sons Fixés et Instrument - La Muse en Circuit, Centre National de Création Musicale, France and an Honourable Mention at the prestigious Prix Presque Rien, an award in honour of composer Luc Ferrari, Paris, France. Whilst entirely autodidactic in electroacoustic music, sonic art and digital media, he has formally studied music composition at a number of Australian universities including, COFA - UNSW and the University of Wollongong where he received his doctoral degree, with other degrees including a BMus (Hons), MMus, and a MA(R). 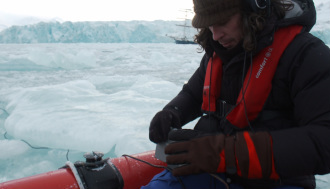 Dr Ros Bandt is an internationally acclaimed sound artist, composer, researcher and scholar. 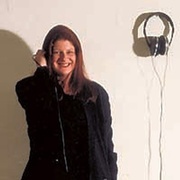 Since 1977 she has pioneered interactive sound installations, sound sculptures, and created sound playgrounds, spatial music systems, and some 40 sound installations worldwide. 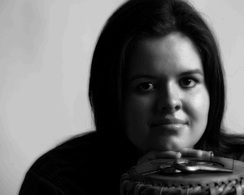 She has curated many sound performances, exhibitions and events. Her original works are recorded on New Albion Records (USA), Move Records (Melbourne), EMI/ABC, and Wergo (Germany). Bandt is a prolific writer on sound and her book, Sound Sculpture: Intersections in Sound and Sculpture in Australian Artworks, (Fine Arts Press) is the first audio visual profile of Australian sound art. She is an honorary senior research fellow at the Australian Centre, the University of Melbourne, where she directs The Australian Sound Design Project, the first on-line soundart gallery, searchable data-base and web site merging soundart practice with academic research. She teaches sound art as a guest lecturer and is in demand as a keynote speaker on sound internationally. 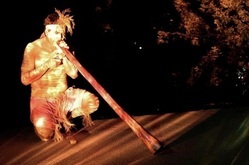 Lyndon Davis is an talented musician, visual artist and director of Gubbi Gubbi Dance. Gubbi Gubbi is the language spoken by the traditional custodians of the area. Lyndon Davis and Shannon Chilly, direct descendants of the Gubbi people, founded the troupe in 1996. Bringing together family members and local young indigenous people to celebrate the dances of their homelands. They have gained a strong rapport throughout their community taking great pride in their culture and feeling blessed to share their knowledge. LYNDON DAVIS is an indigenous artist raised on the Sunshine Coast, Queensland and is a direct descendant of the local Gubbi Gubbi people traditional custodians. Raised by his Grandmother Lyndon feels blessed to have learnt the stories of the old people from her. His artwork is a reflection of these stories and his close connections with the fauna, flora and landscapes of his homelands. His work has been exhibited at local exhibitions and in Europe and South America. It is held in many private collections. 2005 was commissioned by Ford America; this painting was auctioned for tsunami victims. 2006 was commissioned by Queensland Health; Painting is displayed in Nambour Hospital. Recently Lyndon is working on new concept for his work. He has been researching traditional shield designs and art techniques from South East Queensland and incorporating this style into his art in a contemporary form. Born in Cordoba, Argentina, composer Gerardo Dirié is also an accomplished conductor, performer, artist and educator. As a composer, he has had many acclaims and performances in the United States, Latin America and Europe. In July 1994, he was a prize winner in the National Tribune of Electroacoustic Music in Argentina. As a result, his piece Tu casa o este océano was selected for performance at the 1994 International Tribune of Electroacoustic Music in Paris and at the International Tribune of Composers (UNESCO) in Finland. His choral work Canto de Amores Entre Ausencias won the Honorary Mention in the NISSIM ASCAP International Composition Competition in 1993. In 1991, 1992, 1993, 1995 and 1996 he was distinguished with the Standard Awards from the American Society of Composers, Authors and Publishers for the performance of his compositions. This included the performances of Puerto de Cántaros by the Cosmopolitan Symphony Orchestra with Tania Leon conducting, in Town Hall, New York; Two Impromptus for two pianos, in Caracas, Venezuela; El baile del quinto día for solo violin in Spain; and a retrospective concert of his music for soloists and live electronics performed by The Hueco Ensemble in Manhattan. During the most recent years his music has also been performed in India, Malaysia, Turkey, Colombia, Venezuela, Belgium, Germany, and Denmark. Dirié holds Master and Doctor in Music Composition degrees from Indiana University, where he studied with John Eaton and Eugene O'Brien. 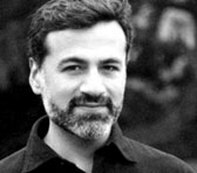 He came to Indiana University from Argentina in 1987 after receiving a Fulbright Fellowship and Monica Mourier Archibald Grant to study composition. Prior to coming to Indiana, he attended the Universidad Nacional de Cordoba, Argentina, studying composition with Atilio Argüello, Oscar Bazán, and César Franchisena. During this time he was also awarded the International Encounters in Contemporary Music Grant to study Contemporary Choral Music Conducting Techniques in Buenos Aires, as well as the Fondo Nacional de las Artes Grant to study Music and Mathematics. Complementing his activities as a composer and scholar, Dirié has worked extensively as an educator. From 1989 to 1992 he served as an Associate Instructor of composition at Indiana University, working with students privately, as well as leading large seminar classes on composition. He has been a faculty member for the Recorder Academy Summer Workshop at Indiana University, where he conducted workshops on music improvisation and multimedia creations. In addition, he was guest faculty at the 1991 "Amherst Early Music Festival," the 1992 "Orff-Schulwerk National Conference" in Minneapolis, and the 1993 and 1996 "National Conference on Recorder Pedagogy" in Bloomington. In 1982, he was a founding member of "Collegium Centro de Educación e Investigaciones Musicales" in Cordoba, Argentina. At this institution, devoted to music education and research, he taught composition and theory to students of all ages and was the music director of the main choral ensemble for five years. Under his direction, this ensemble presented programs devoted to contemporary music and Latin American colonial music.